Since it was built in 1869, the Chapel of the Immaculate Conception has been the focal point of the University of Dayton. 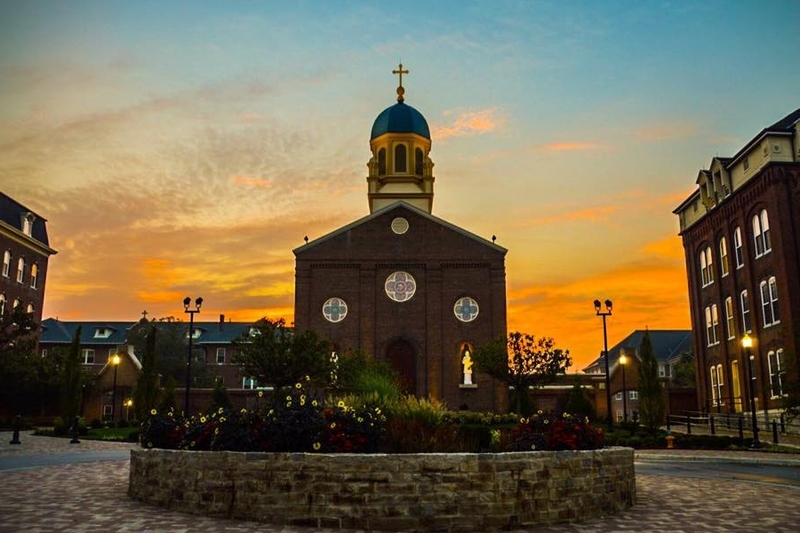 In terms of mission, spirituality and campus geography, the chapel marks the central axis around which the University has grown: it is truly the heart of the University of Dayton community. Over the decades, Marianists have professed and renewed their religious vows within its walls; students and alumni have become engaged or professed their wedding vows in the chapel; and some Marianists and other members of the campus community have been eulogized from there. The ongoing stream of daily and Sunday liturgies celebrated in the chapel has shaped and sustained the faith life of the University. Individuals seek out the chapel for a quiet moment of prayer between classes, at the beginning or end of the work day, or when simply walking by. For Chapel inquiries, please contact the University of Dayton Campus Minister for Liturgy and Sacraments, Katie Mathews. Click to take a virtual tour of the Chapel using Google Maps. Click to find everything you could want to know about the renovation of the Chapel of the Immaculate Conception in this full-color 30-page booklet (.pdf file).